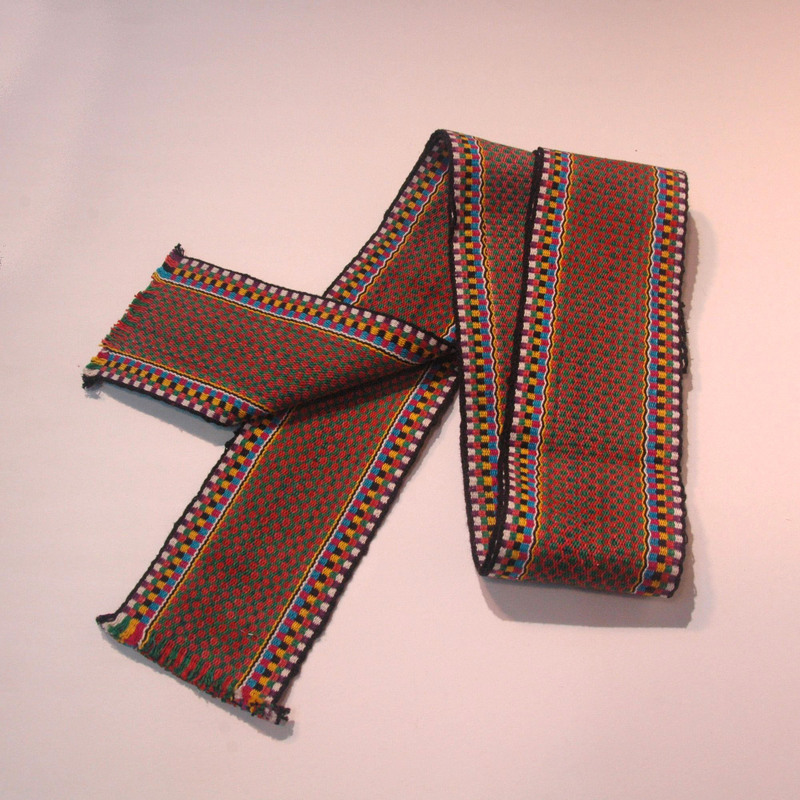 This hand woven band is the belt for the costume of the Miao tribe. Just after lunar New Year is the Cai Hua Shan festival of the Miao tribe. Different clans will come together to the common area between the different villages, a large pine or cypress tree will be selected as the “flower stem”. Before dawn the person in charge, “head of the flower stem”, will take on the task of erecting the tree post and tying ribbons and flower on the top. This job is done by commonly agreed most kind hearted person (with such a task, I am not surprised). The day begins with the “head” tossing wine to everyone and giving them blessing; fire crackers, drums are played to signify the start of the festival, followed by days of dance, music and laughter. It is also the chance for dating, the men will give a woven band to the lady he desire and in return the lady will give him a embroided handkerchief or headwrap.